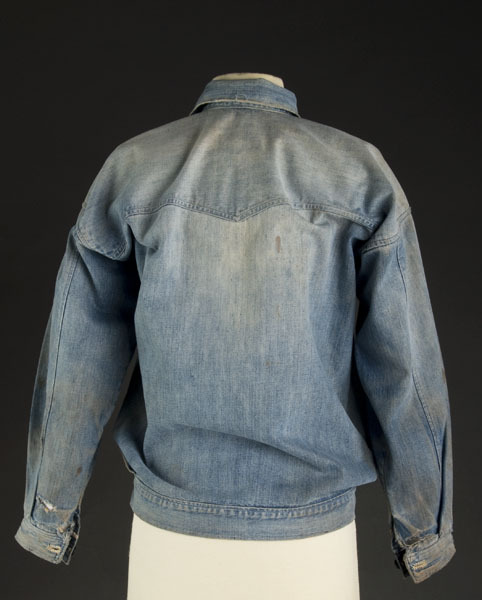 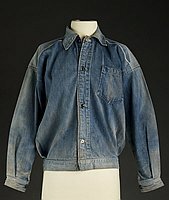 1 jacket : denim ; 22 x 21 in. 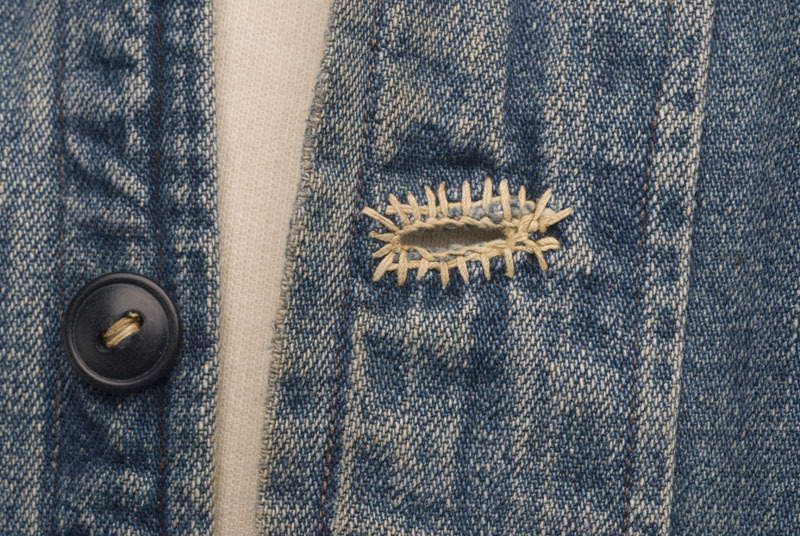 Long sleeved blue denim (Ahina) men's jacket with handsewn buttonholes. 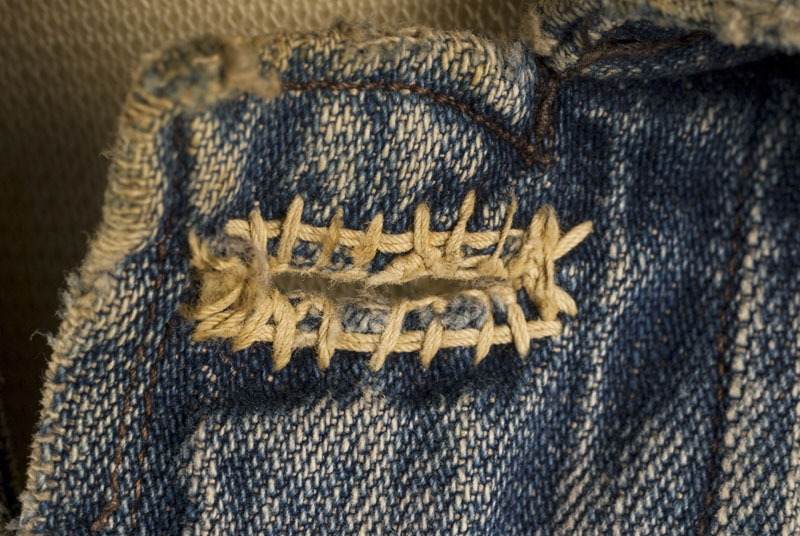 One patch pocket on proper left front panel. 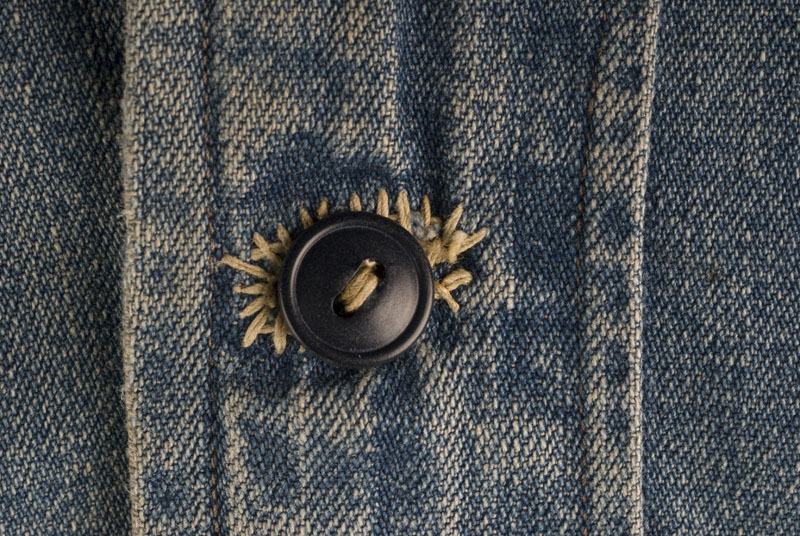 Four buttons down front of jacket: three dark colored buttons of which two are of the same design, and one white button at bottom; one button closure at each cuff.